Recent $3,000.00 Price Reduction!! Present all offers - this boat is immaculate! This NEW RB 21 Blue hulled beauty is ready to commissioned and launched! She comes equipped with a (0) Hour NEW Yamaha Four Stroke 150 hp on an Armstrong Full transom Engine Bracket with boarding ladder for easy beach/dock access. Separate yourself from the rest of the world and try this semi custom finely finished yachty center console. Heavy duty stainless steel hardware with very nice rub rail. She is a real head turner with a superb sea kindly ride and plenty of free board for a safe dry ride for its size. Please make offers and schedule your sea trial today. 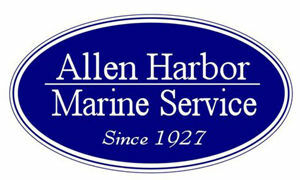 Andere boten van Allen Harbor Marine Service Inc.
Alle boten bekijken van Allen Harbor Marine Service Inc.